Now that you have finally settled down in the UK it’s time to exchange your license to a UK drivers license. It’s a pretty easy process to exchange your licence once you’ve been here for over 185 days. Proof of Address – One of the benefits of having a UK licence is that it is the most convenient Proof of Address you can have. Before having my licence I needed to carry my passport around when I needed to something at the bank and requiring me to remember in advance with having my UK licence I didn’t need to worry. Cheaper Car Insurance – Most companies offer cheaper car insurance for full UK driving license holders. I recently tested this on confused.com to see whether it was true using VOLVO V60 SE T3 as the car model of choice. The first quote with my Australian licence came to £2924.32 and the second quote using my UK licence came to £937.56. It’s worth making the switch if you are planning to buy a car to save those £££’s. 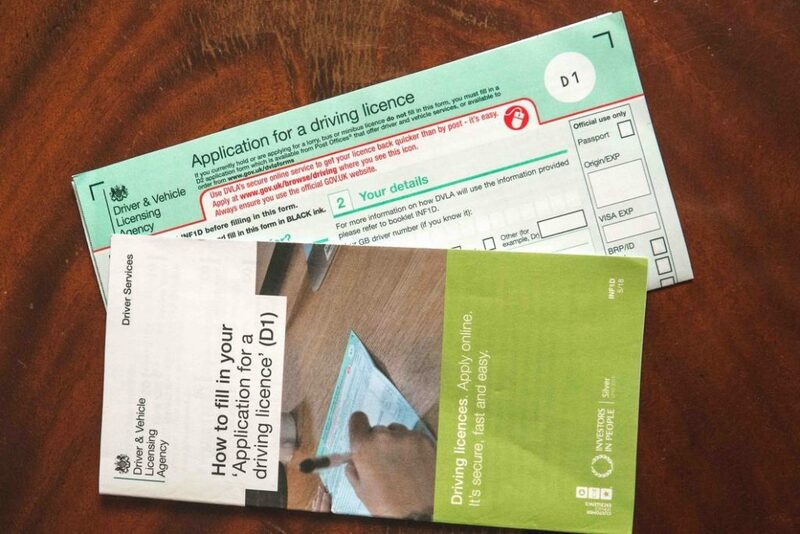 Continue driving in the UK – If you wish to continue driving in the UK you must change your licence after 12 months of staying in the UK on a foreign licence. I waited 3 years before exchanging mine however I don’t really drive in the UK. You can exchange it up to 5 years after becoming resident if it hasn’t expired. Can You Get A UK Driving Licence On A Visa? The process for exchanging your licence is (not that this is only for England, Scotland and Wales, Northern Ireland has its own process). To exchange your licence your home country must be a ‘designated country’ (countries with exchange agreements with Great Britain), the countries in this agreement are; Andorra, Australia, Barbados, British Virgin Islands, Canada, Falkland Islands, Faroe Islands, Gibraltar, Hong Kong, Japan, Monaco, New Zealand, Republic of Korea, Singapore, South Africa, Switzerland and Zimbabwe. If your country doesn’t have a reciprocal agreement you will need to apply for a UK provisional licence and pass the UK practical test. It’s not required that you take any driving lessons before taking the test but it could be helpful to familiarise yourself with the UK rules. Check out this handy little tool to see if you can drive in the UK on your non-UK drivers licence. You need a copy of your drivers’ license or proof of entitlement letter from the issuing authority confirming your licence is valid with all of your details etc. and send that in with your application in the UK. Saves you having to re-order another licence. When I was in Australia I said my licence was lost and paid for a new one. Plus got a new photo whilst I was at it. If you passed your driving license in Canada or New Zealand you will need to provide proof that you can drive a manual gearbox if you want a manual license. Your licence should be switched to the type of licence you had in your home country so in Australia I had a manual licence and when I exchange I also received a manual drivers licences. The same happened when my sister applied, she has an automatic licence and recieve an automatic licence back. The easiest way to get a D1 form is by ordering it online, otherwise post offices should have copies of the form. You will one standard UK Passport size photo to send with you application. Just like a passport the photo is valid for 10 years so make sure you look your best 😊. It’s a simple two page form. D1 form, Australian license and biometrics card. £43 fee – As I don’t have cheque book I decided to get a postal order to pay the £43. Self-addressed registered post envelops (optional). I sent mine by registered post and included an addressed registered post envelope so it could be tracked when my documents were returned. Your new UK licence and identity documents will be sent separately. How long does it take to get a driving license UK? Allow around 3 weeks for your driving licence to be sent to you. This can take longer if we need to check your health or personal details. On the back of your UK licence there will be a table of vehicles (categories) and licence codes which state what you can and can’t drive. AM which is a 2-wheeled or 3-wheeled vehicle with a maximum design speed of over 25km/h (15.5mph) but not more than 45km/h (28mph) if I comply with code 122 (see below). A with restriction of 79 (3) which is motor tricycles with a power output more than 15kW. B1 which is basically a quad bike. B the one we are most likely to drive, a car. It’s exchanged to a full licence, if you had an automatic licence it would say 70, 78 which is restricted to vehicles with automatic transmission. BE I can drive a car with a trailer. For more information on the code here.